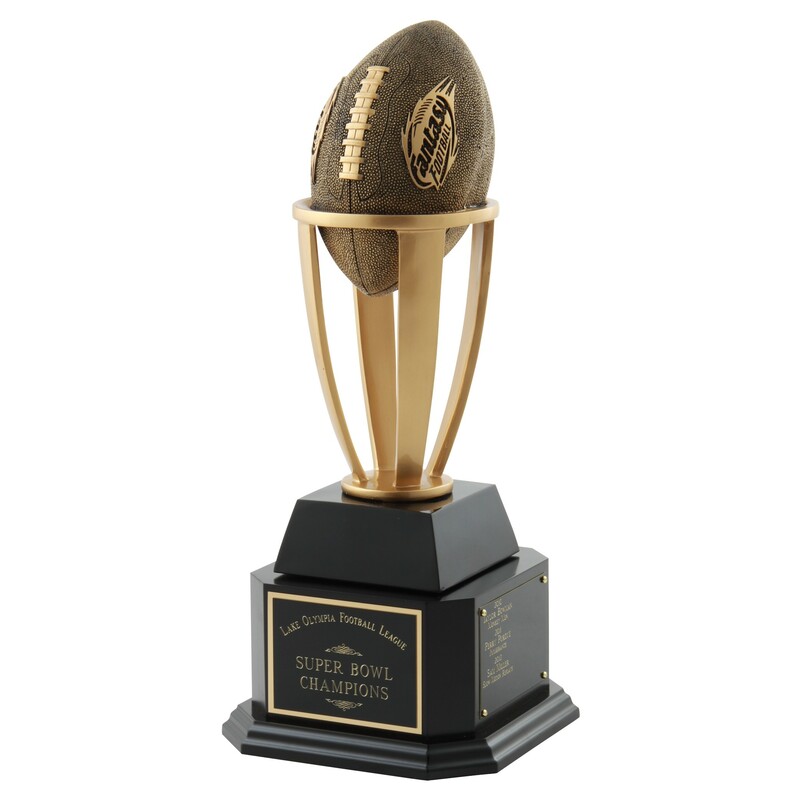 Add hype to your league with our Pedestal Fantasy Football Trophy! 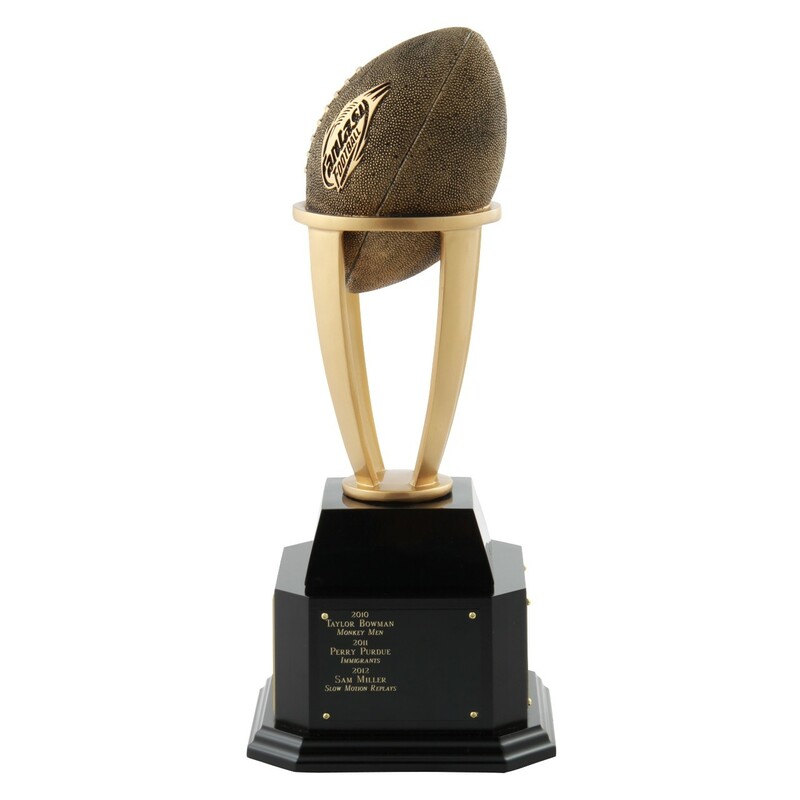 Tall and heavy, it measures 16 inches and features a gold colored resin tower with "fantasy football" on the side of the ball. The figure sits above a black wooden base engraved with your fantasy football league name on the front plate. 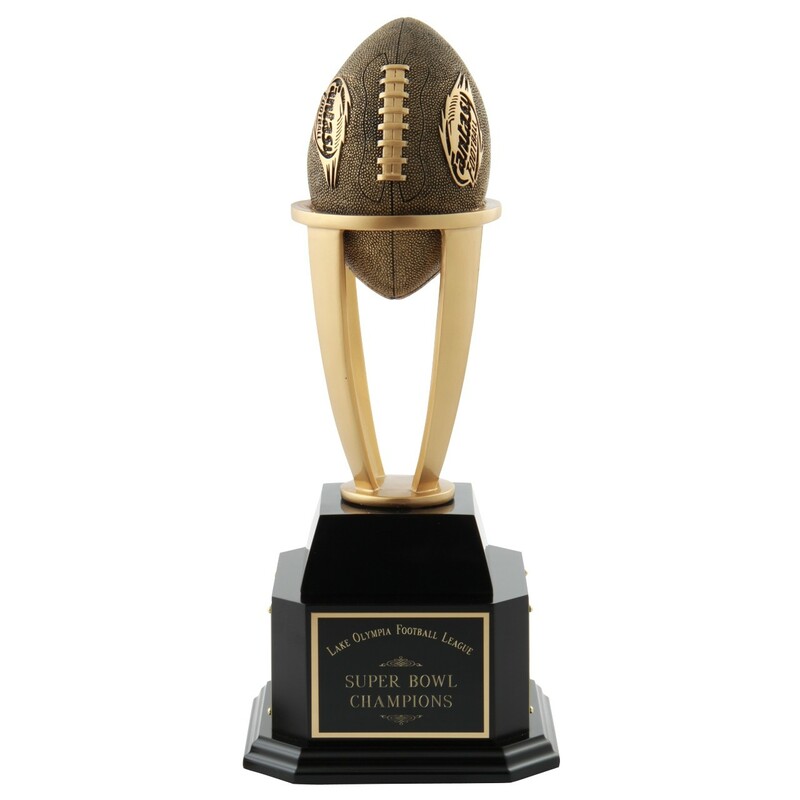 Add optional brass plates on the remaining three sides for each year's winner. Each side can hold six to eight years depending on text size.